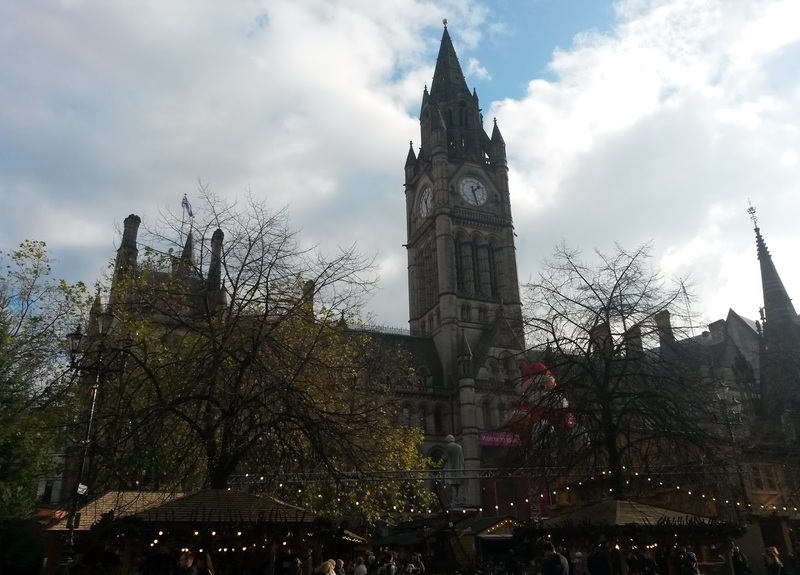 Yesterday me and the other half drove over to Manchester to visit the annual Christmas markets that had been put up. Everything was super festive and reminded me that Christmas, is in fact, just around the corner. They were the smell of German sausages, paella and chocolatey treats in the air, and everyone was very merry drinking cups of warm mulled wine. If there's one thing us (the United Kingdom) lack in is these sorts of markets, which is why every year I eagerly anticipate the Christmas market, because the rest of Europe do markets best. I'm a huge fan of French markets having visited them on many occasions. It was busier then I expected it to be for a week day but not so jam packed you couldn't move. 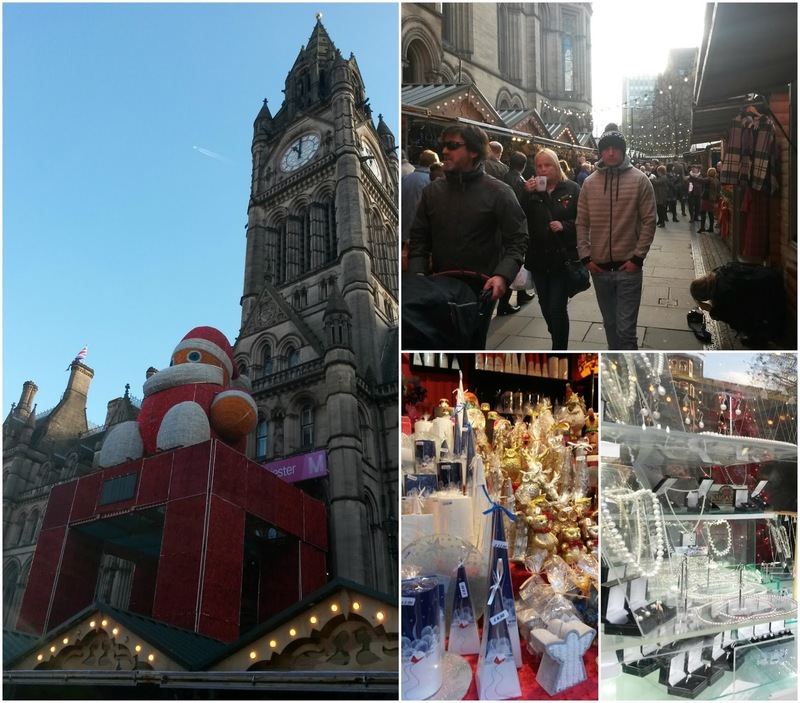 This trip was a fun-filled trip of shopping, shopping and more shopping, Christmas presents, and something I've decided to keep off my blog in case of any peeping family have a read. I, however, did pick up a few bits and pieces, nothing special, but lovely for myself. Firstly, I popped into Boots and picked up a few makeup essentials and after seeing this Essie polish in Naughty Nautical on Miss Makeup Magpie Instagram they were no way I was leaving without it, plus, it was 3 for 2 so I can justify this little splurge. On the market I saw these candles in big size and small and fell in love. They are hand painted beautifully and this Christmas one is just so, so pretty. 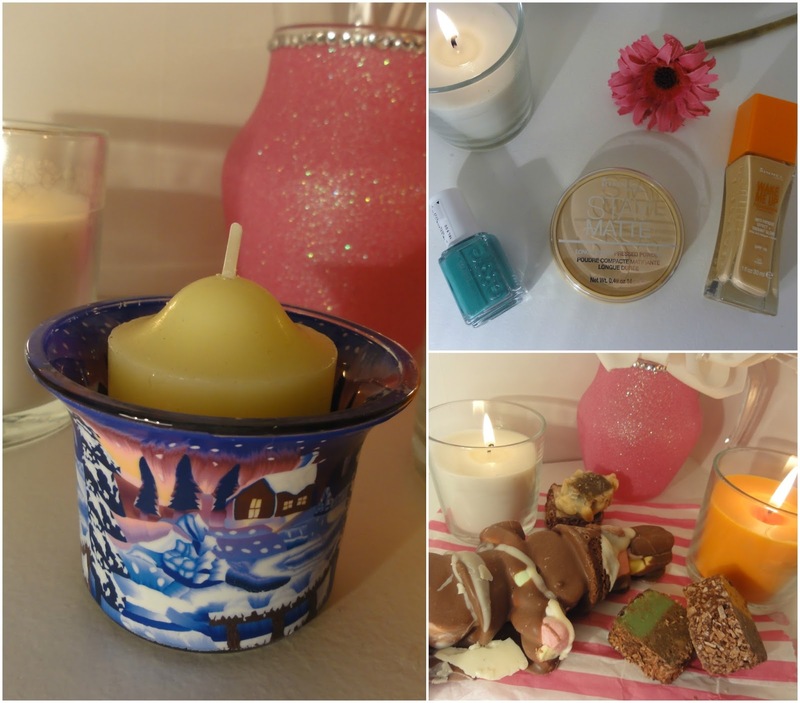 This was just £4.50, plus £1.50 for the candle. The smell of chocolate got the better of me and I stocked up on some. First up, a chocolate fudge and brownie marshmallow kebab - yes, I'm going to be in a food coma after eating this, so if you don't hear from me you know why - and some little pieces of flavoured chocolate. Are you visiting any Christmas markets this year? I love Christmas markets - I can't to go to a couple this year! Sounds so nice and cozy, I can't wait to be strolling around Christmas markets!